"Adriane Blanco" Reviewed by RadioIndy.com! 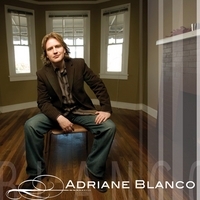 "Adriane Blanco" by Adriane Blanco is an excellent collection of adult pop/rock-style, spiritually-driven songs that are polished, well written and well delivered. Adriane's pitch-perfect voice is shyly sensitive and works really well with the overall sound. In general, the album has a soft tone with big harmonized choruses, although each song is certainly unique and drawn from many influences. The musicianship and production are outstanding. The lyrics are well thought out and spiritually-focused, providing a positive message in a manner that is enjoyable to a mainstream adult rock audience. Highlights include "Near Me," which is a commercial radio-ready track. "Calling," which has a memorable guitar riff and a driving intensity, is another highlight track. "Show Me the Way" features mellotron, cool drum fills, an overall creativeness and well-delivered vocals. If you enjoy spiritually-based, adult rock music you will enjoy this outstanding CD.